In Thus Spoke Zarathustra, Nietzsche introduces a blueprint of human spiritual transformation in the form of his allegory of the three metamorphoses, depicting a transition from camel to lion to child. Humans must begin like the submissive camel, weighed down with a heavy load of tradition, our psychological strain. One will remain a camel, a mere beast of burden, unless one grows strong like a lion, roaring in the face of adversity and struggle, rejecting the heavy burden. The final stage, the child, calls for child-like creativity and innocence, not immature childishness. The child “is innocence and forgetting, a new beginning … a self-propelling wheel, a Sacred Yes” (Nietzsche, 1883-1891/2009, p. 55). Nietzsche likewise challenged his audience to all out life. Forever the iconoclast, the philosopher meant no hard feelings; the purpose of his writing was to convey his thoughts and musings, with hopes that a fraction of those who read his work would comprehend him and resonate with his messages. But, he never believed “the many” would “get” him. 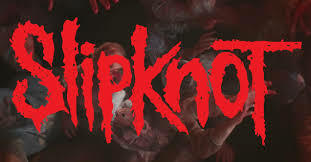 Similarly, Slipknot, as a band outside the musical mainstream, does not aim to appeal to everyone. Only the old can become again as the child. New is certainly not best, as youth suggests a necessary stage of camel-hood. Killing the camel and lion inside is not physical death; it is a metaphysical metamorphosis. The message is that humans are born incomplete. The camel must move from dependence on the opinions and commonly held beliefs of others through the roaring rejection of the lion, only to embrace all-out life as the child. After years of programming as a camel, what is simple can be a challenge for the lion. That is, until a choice is made to discard the need to be what others want one to be. One must be oneself, even if others will never accept that decision. As I (Whitaker, 2018) noted in my dissertation, “[recall] the secret that Life shared with Zarathustra ‘And this secret did Life herself tell to me. ‘Behold’, she said, ‘I am that which must always overcome itself’’ (Nietzsche, p. 99). Life is always overcoming because there is no other directive” (p. 168). We are here today to get it right. Nietzsche would agree, challenging you to all out life. Many of us exist to do nothing more than to continue surviving, which is not all out life at all. To be human means to partake in a rallying cry by rising up to the trials and challenges of life, until we can finally do so with the gusto and power of the lion. Only then do we come to understand the innocence, strength, and purity of the child. Ashley Whitaker, Ph.D., is a psychological researcher focusing on themes/issues within existential, humanistic, and transpersonal psychology. Nietzsche, F. (2009). On the three metamorphoses. In Thus spoke Zarathustra: A book for everyone and nobody (G. Parkes, Trans.). New York, NY: Oxford University Press. Whitaker, A. L. (2018). Seek and destroy: A heuristic self-search inquiry on the etiology of existential injury in autism spectrum disorder and turner syndrome (Order No. 10688746). Available from ProQuest Dissertations & Theses Global. (2022398896).